Commercial Vaults, 498 Springburn Road corner of 2 Blenheim Street, Glasgow. 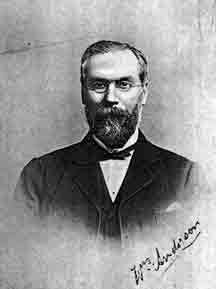 Mr William Anderson established the Commercial Vaults which sat at the corner of Springburn Road and Blenheim Street in 1886. William lived at Eastfield Lodge, Springburn before moving to Clifton Villa, Broomfield Road in the 1890s. When Mr Anderson died in 1913 the license was transferred to his son Robert Anderson, the following year he had Robert D Paton run the pub for him who then became the license holder. This was probably due to the fact that young Robert went to fight for his country. In 1935 Robert Watson was licensee, the pub was then still owned by the Anderson family. Mr Watson continued to run the pub until the 1950s. Do you remember George B Graham who ran the pub in 1960-70 or Donald R C Dunlop who became licensee in 1972. The pub closed late 1970s and was demolished shortly afterwards. Mr on Mr Anderson coming soon.